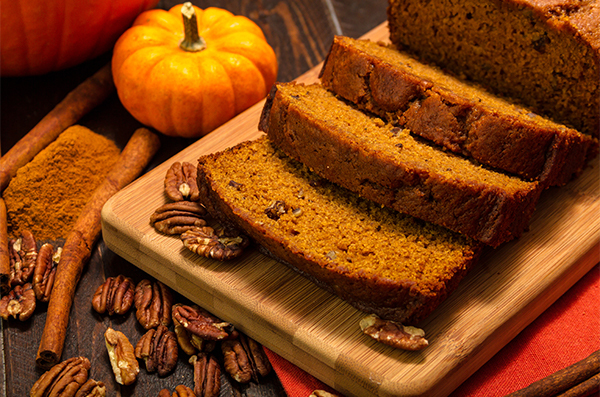 Spicy, sweet and extra moist, this bread tastes just like a pumpkin pie without the crust. This is a loaf that improves with age, so expect it to taste even better the day after you baked it ! Place the ingredients in the bread pan in the order listed in the recipe above. Select Menu ‘01’ (4hr), make sure the size is set to M and press start. When the cycle is complete, turn out and allow to cool before slicing/serving.